While building your ideal gaming setup, there are many things to consider. You will need the right rig, the perfect recording software, and a headset. Equally as important is the best gaming chair with footrest. As there are plenty of models to choose from, we’ve taken the hard work out of your hands and found three superior models for you to consider. From improved ergonomic comfort to adjustable features, these chairs are undoubtedly at the top of their game. There are several things to look out for when looking for the best gaming chair with footrest. First, you’re going to need a chair that offers ergonomic features. Gaming can take a lot out of your body, and it’s best to maintain a comfortable and healthy posture. More than that, you’re also going to want a chair that is not only aesthetically pleasing but is also built well. Lastly, with added components, such as metal frames and caster wheels, you can be sure that your investment will last for years. With the traditional aesthetic of most gaming chairs, the RESPAWN RSP-110 is idyllic for all setups. Available in multiple color options, you can choose the best one for your overall aesthetic. It also has plenty of great comforting features for long hours of gaming. Designed similarly to the seats you would find in racecars, this chair perfectly fits your body’s contours. What makes it a great option is that it’s useful for hours of gaming but also for regular computing. 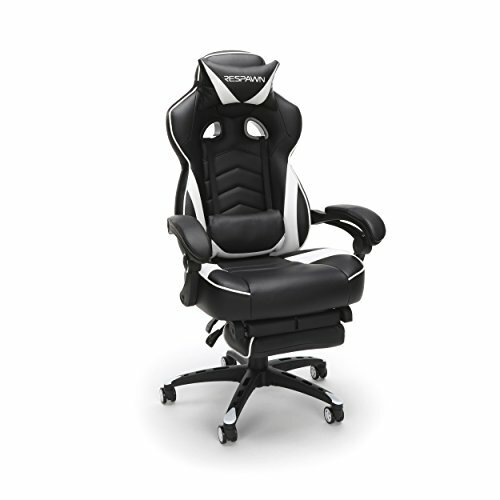 For comfort and health, the RESPAWN RSP-110 Gaming Chair has ergonomic features as well. You’ll have not only contoured support but also an extendable footrest. This is in addition to the adjustable lumbar support pillow, adjustable headrest, and padded armrests. There are a few finer adjustments that you can do with this gaming chair. 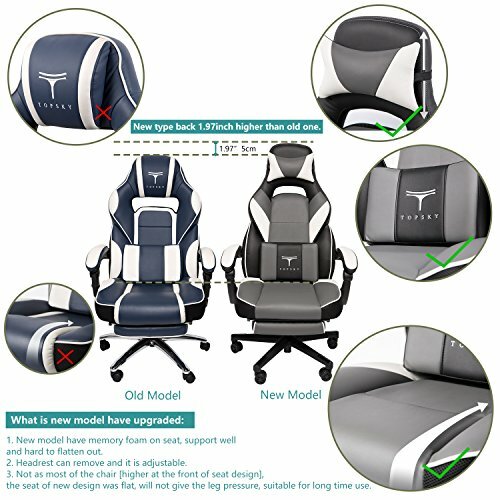 You can raise and lower the seat, adjust the recline up to 130 degrees, and change the tilt tension as well. Moreover, there are also multiple locking positions to keep your desired settings in place, as well as 360-degrees of swiveling. The RESPAWN RSP-110 Gaming Chair is built to last. Constructed using bonded leather and with a 275-pound capacity, you can rest assured that it’s going to even after years of regular use. 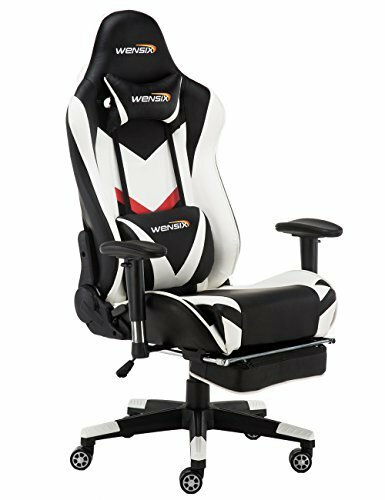 The WENSIX Gaming Chair is a great intermediate option between a high-end gaming chair and a comfortable office chair. It has the iconic gaming appeal but has plenty of convenient features for regular computing as well. You can easily tell that this chair is built with the everyday user in mind because it has an ergonomic backing that hugs onto your upper back. It also features a headrest, backrest, and adjustable lumbar cushion. Another ergonomic feature we appreciated is the build of the armrests. They are contoured to the exact shape of your arms, thus reducing any repetitive stress. If you’re looking for a chair that will withstand wear and tear, this is a great option. With a level-four gas cylinder for adjusting, you can achieve the settings that you prefer. This chair boasts a 300-pound maximum capacity. In addition to that, it also has a metal frame and caster wheels. The caster wheels add to the integrity of the bottom half of the chair. They also allow for more silent rolling with improved stability. 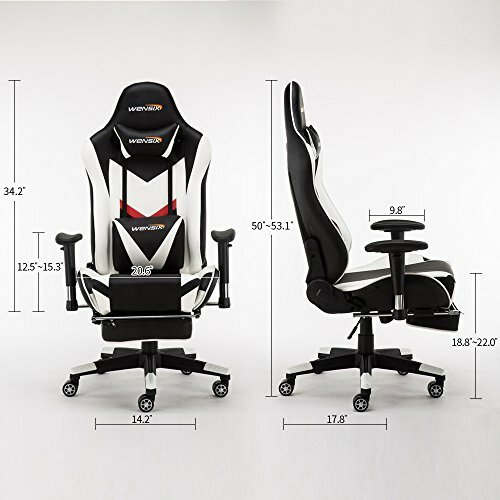 Aside from the lumbar cushion and headrest being adjustable, other parts of the WENSIX Gaming Chair can be adjusted as well. You can choose to adjust the chair’s recline from 90 to 180 degrees, and you can also adjust the armrests. As the third and final gaming chair, we have the TOPSKY High Back Gaming Chair. This chair is sleek and stylish. Compared to other gaming chairs, it appears to have more padding, which adds to its comfort. If you’re looking for a chair that will look great in a professional or personal environment, this is it. You have full control over the recline of your chair. You can adjust it from 90 to 175 degrees using a lever. It also allows for locking in your ideal position. In an effort to add more comfort while gaming for extended periods, the armrests are curved. This is also ideal for people who sit at their work computers for hours. 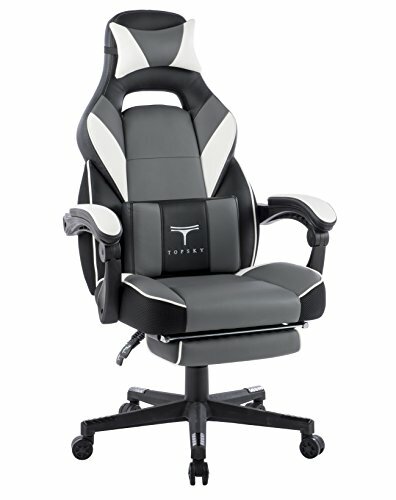 To add to the durability of the material over years of use, the TOPSKY High Back Gaming Chair is made of PU leather. Once broken in, the material is incredibly comfortable. The lumbar cushion and headrest are fully removable. The manufacturer also upgraded the comfort of the cushions. 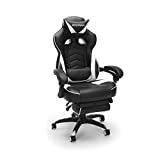 To alleviate pressure on the lower back, the TOPSKY High Back Gaming Chair is designed to be a tall gaming chair. In fact, it has a 31.5-inch-high backrest. To add to the quality of the bottom of the chair, it is built with caster wheels. All five wheels are stylish and highly durable. However, if you’re playing on a hardwood floor, it’s recommended that you use a chair pad or remove the casters. After careful consideration, we have concluded that the RESPAWN RSP-110 is our number one choice. There are several things you’ll appreciate about this chair after you use it for the first time. With the fully adjustable and removable cushions, you can customize the feel of the chair. Its locking mechanisms are also far superior to the other chairs on this list. You won’t have to worry about the height piston failing. Once you lock in your ideal settings, they’ll last. Above all else, the RESPAWN RSP-110 is simply more comfortable than other gaming chairs. Its comfort is what makes it so versatile for at-home and in-office use. It’s also the most affordable chair out of the three, which makes it even more advantageous.